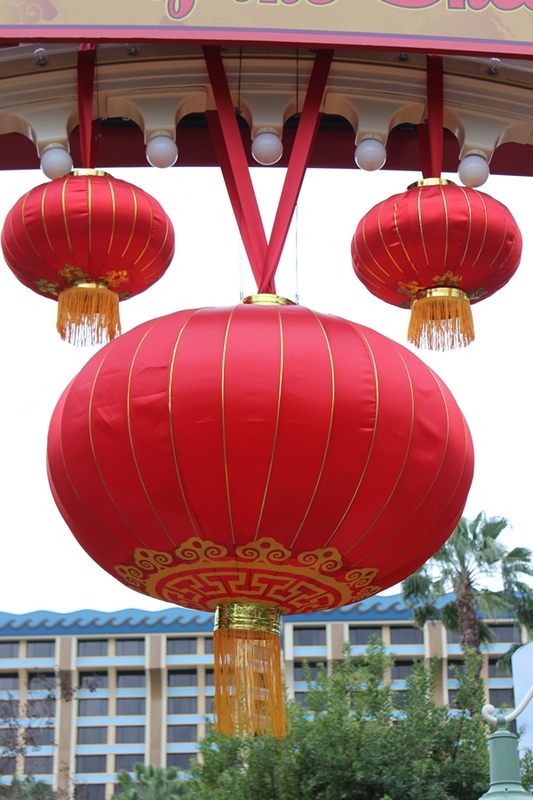 The Lunar New Year is upon us, and Disney California Adventure is gearing up for another spectacular celebration for the occasion. I say spectacular because the missus and I were able to take part in last year’s festivities and, despites the grey and rainy weather, we had an absolutely fantastic time. In fact, I’ve been saving talking about the event for an entire year just to get you excited about venturing out to the celebration this year. The celebration takes place in the Paradise Pier district of Disney California Adventure. Specifically, the action is centralized around Paradise Garden. The boardwalk lights and plenty of shade trees and covered shelters give this section a wonderful atmosphere and makes the festivities enjoyable, rain or shine. There’s a lot of ground to cover, from activities to performances, and let’s not forget food, so let’s get to it! There are a wide variety of activities tied to the Lunar New Year celebration, but the most crucial of these were the large plaques that depict the various celebrations of Lunar New Year throughout Asia. The wall-sized pieces display how Vietnamese, Chinese, and Korean families all celebrate the holiday, first in their native language and then in English. While these are an oversimplification of the celebrations, it gives those unfamiliar with the traditions a decent understanding to go forward into the event with. There is also signage depicting the various signs of the zodiac where you can find your sign based upon the year you were born. They’ve also cleverly found a Disney animated character that represents each of the signs. For my part I’m a rooster, or Alan-a-Dale from Robin Hood. Go over and take a look this year and let us know which character is your birth year’s totem! From here, guests have a number of options of what guests can do. My recommendation is to make one of your New Year Wishes. This was truly one of the most beautiful sights I found during the celebration. 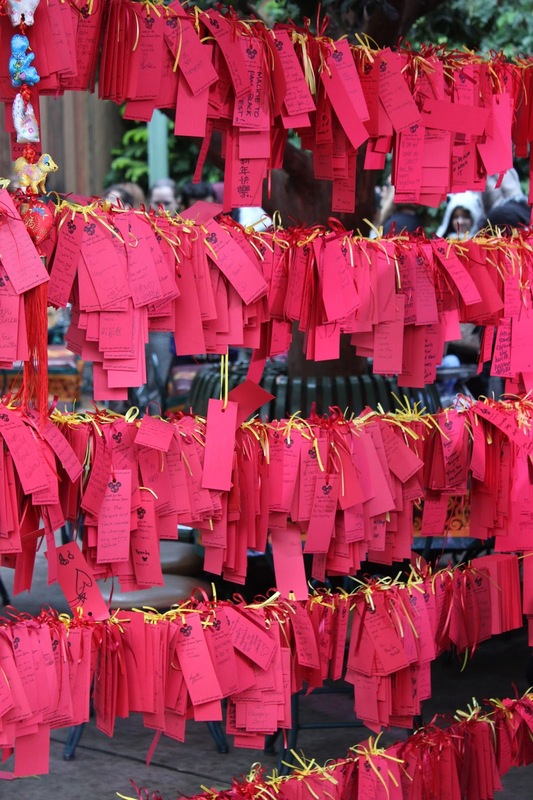 Here, guests can write their wishes down on red tags that start out simply with, “My wish for the New Lunar Year is.” Once the wish is written down, the tags are then fastened to one of numerous strings running across two posts in the pavilion forming a wall of wishes. Take a look for yourself; it is truly a wonder to behold. I hope that many, many, many of your wishes that were cast last year came true! Other activities include calligraphy and brush painting, where guests get to watch true artists at work. A make and take station offers guests the ability to create a paper lantern, which is a great idea for families. There is face-painting happening as well, which, let’s just be honest, it isn’t a vacation until someone has a dragon painted across their face! Last, but certainly not least are the characters, decked out in their Lunar New Year finest. We were able to catch a glimpse of Mickey, Minnie, Chip, and Dale all meeting with guests to celebrate the occasion. For families where Lunar New Year is engrained in who they are, I can only imagine how wonderful it is to for their children to see their favorite characters honoring their traditions. There are a number of performances that happen throughout the weekend as well. From dragons and traditional dance and performance acts, there is a lot to take in if you have the time. And I highly recommend you make the time. Each act is an authentic piece of the festivities puzzle, both here and around the world, and you can tell the performers are truly dedicated to their craft and representation of their people. 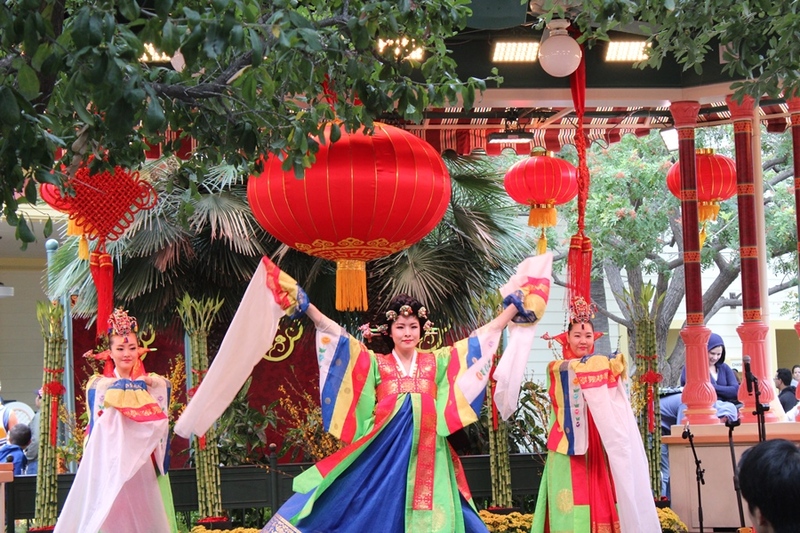 These performances in the garden are, to me, the heart and soul of the celebration. I would be remiss if I didn’t mention the food, wouldn’t I? There are several snack options available to guests: Lunar New Year Sourdough Bread, Pork Bao served with Sweet Chili Sauce, and Almond Cookies. 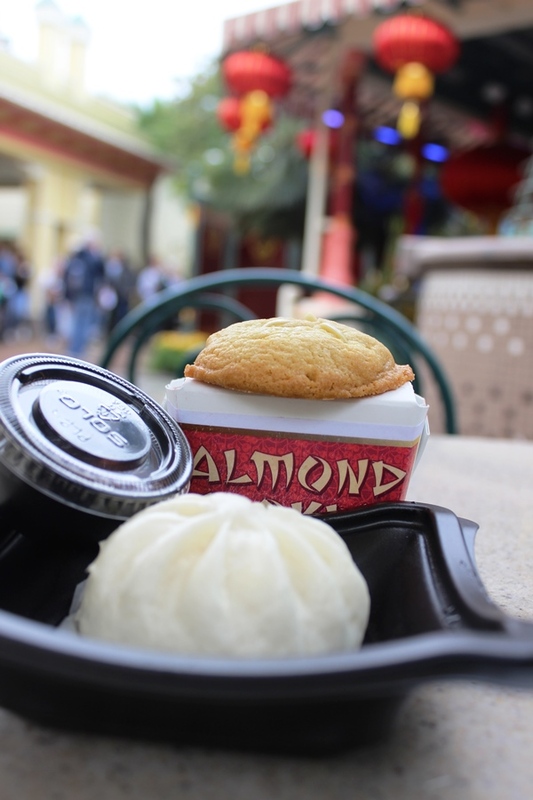 Real quick, Disney California Adventure does amazing sourdough, and the Lunar New Year Sourdough is no exception. That said, it is sourdough that is available all year long in the park. The Pork Bao is a decent option for a quick bite, but it isn’t going to fill you up. The ball-shaped bun is a bit chewier than we expected from our previous experience with buns, but this is a quick service snack we’re talking about. The pork filling is savory and delicious, and is really highlighted by the sweet chili sauce. Coincidentally, just about anything listed as a sweet chili sauce makes me want to slather it on something and devour it with great haste, but that’s just my obsession with the sweet-spicy spectrum. The Almond Cookies were the true winners here, and they taste exactly how you think they would. These are simple cookies with a rich, almost buttery almond flavor. They come in a cute take-out box, a great visual for a great bite. I recommend stockpiling these and, if you’re so inclined, sending a box or two my way! 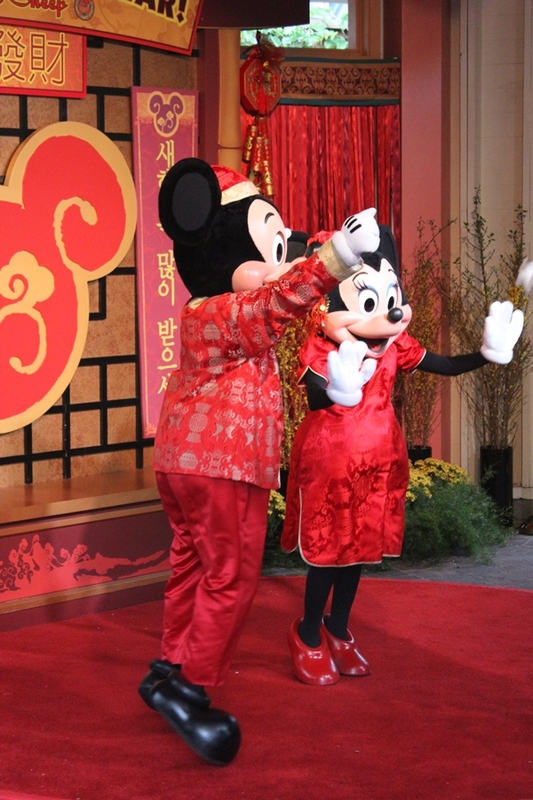 The Lunar New Year celebration at Disney California Adventure is not to be missed if you have the chance. Whatever the weather, it is well worth the investment of time to take in the sights, sounds, smells, history, tastes, culture that is so lavishly on display in Paradise Garden. 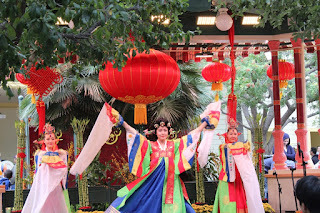 At Walt Disney World the Epcot International Flower and Garden Festival is my not to be missed event each year, for Disneyland the event has to be the small, weekend-long event celebrating the Lunar New Year. It may me small, both in terms of duration and location, but it is a treasure to behold.